An anticipated, Eamonn's Coghlan's record 7 Wanamaker Mile wins was eclipsed last night at the Millrose Games by Bernard Lagat (both men are pictured above). 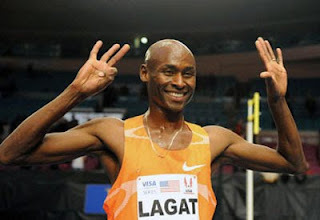 Lagat easily won his eighth Wanamaker mile over Olympic champion Asbel Kiprop and Englishman Andrew Baddeley. 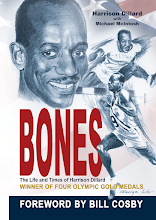 Eamonn will now have to content himself with holding the Millrose Games master's mile record (4:04.55 set in 1994).